To make any thing without any problem, necessarily need to be able to cut. Many do not want to take up sewing, because it frightens them seemingly complex process of cutting. However, learning to cut - it's easy enough. The first step to the ability to cut should be the build step patterns. It needs to be able to take basic measurements and know how to apply them to the type of clothing that you want to create. The main pattern is made on paper. It should outline where to tuck, and to transfer the real dimensions. And then get to work with fabric. Before experts recommend cut fabric to decativate. That is, pre-process it wet-heat method. We need this in order to give the fabric shrinkage even during the cut, rather than in the finished product. It must be so. If the finished product is supposed to wash, then the fabric should be pre-washed at the same temperature and in the same mode in which it will happen later. The dried fabric needs to be ironed. Now start cutting the desired things. 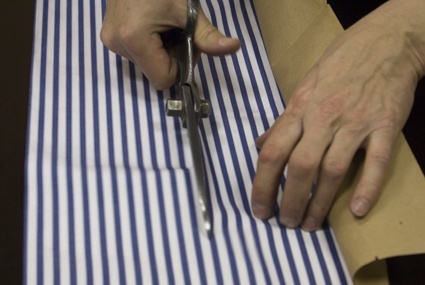 As a rule, cut, fabric is usually folded in half lengthwise wrong side out. Edge should be up against the edge. Especially good this way when you need to get a symmetrical part. On the prepared cloth, lay your paper pattern, pin it with pins. Small guide lines on which you cut. Don't forget to leave room for bleed of approximately 1.5 cm (for thin fabrics can be smaller for thick - more). Don't forget about the tools that will carry out the cutting work. Need for this well-sharpened tailor's scissors, not crushed, not torn and not warp the fabric. Crushed? You can now start sewing. To learn how to sew and cut, you must first learn the basics of sewing, that is, to know the theory - what are hand stitches and machine stitches, what are the ways of processing of fabrics, kinds of fabrics and features of working with them. Theoretical knowledge about sewing can be obtained from specialized books, thematic web-sites or in special courses on cutting and sewing. Learn to sew from scratch can person patient, careful, attentive to detail and have well developed fine motor skills. To understand how to learn to sew and cut under the force every woman would desire. To have an idea about building a complex, simulated things, to begin to learn the history of fashion and style, to understand the description of the creation of products from simple to complex. Even on the red carpet and had a few embarrassments when they faced the stars in the same dress. This is despite the fact that the outfits they were made to order by famous designers. Every woman wants to wear clothesno one else. And not just clothes, but something exclusive, stunning, causing envious sighs. If you have a positive attitude towards crafts, you can learn the art of sewing and to itself to create a unique dress and to impress others. In order to learn how to sew, you can go to the courses of cutting and sewing. If this is not possible, you can try to master sewing on their own. On the Internet you will find build instructions patterns and step-by-step story of the creation of specific things. In specialized magazines are also a lot of similar information. Better to start with the simplest things. It is not accidental that the lessons of labor in school girls are taught to sew first the apron, then a skirt, and then the robe. You can go in the same sequence. If you do not want to learn to build their own pattern, you can use ready-made, good to find them is not difficult. 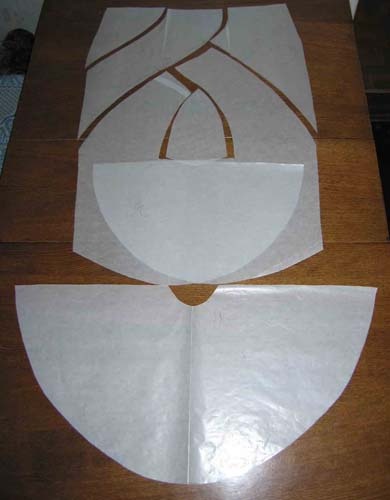 Put the pattern on tracing paper or any other paper, mark the points of Darts, armholes, zippers. Thin pins pin the pattern to the folded in half fabric, gently draw a small. Don't forget the seam! Now big sharp (check in advance! the fabric should be cut and not to tear) with a pair of scissors, cut out pattern pieces. 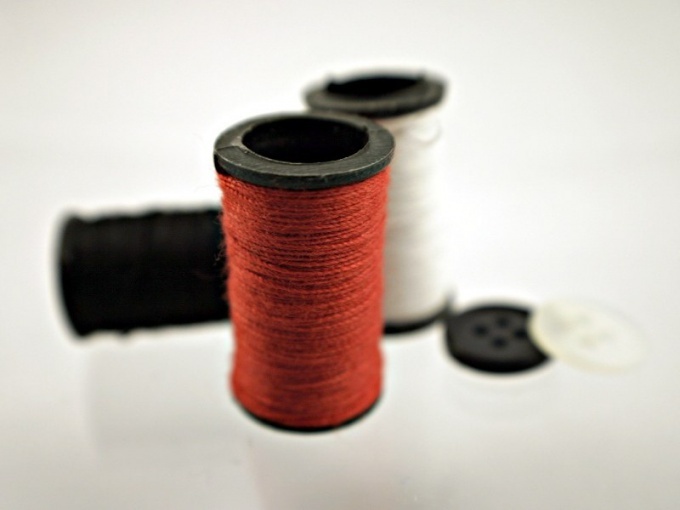 Engage the details, use a bright thread to make it easier to then remove it. The time of first fitting. Look closely, perhaps, the thing requires you to adjust the length or depth of the Darts. Correct if necessary. Now you can sew. Try to make the line smooth. Don't forget to neaten the seams and hinges. Carefully follow the collar, pockets, zipper, handle armhole and hem. Of course, your first thing will not work immediately perfect. Do not despair! Practice, practice and more practice and who knows, maybe you'll make a new Coco Chanel. Where and how to learn to sew yourself? Many people ask this question, because learning to sew myself clothes, not only profitable, and the opportunity to earn clothes for others. Even if you will not use the knowledge, giving courses of cutting and sewing for a living, will always be able to be creative and to sew yourself clothes: skirts, blouses, pants, dresses, etc. The most important thing is practice. The theory is good, but takes practice. From the theory the most important is the beginning, i.e. concepts and definitions. Not knowing the basics, continue to learn something pointless. Tailoring at first glance may seem incredibly tedious and difficult work. Indeed, the obvious difficulties in creating their own patterns, the possession of a sewing machine, fitting clothes on a figure can recapture the desire to learn the science of sewingI do. But, as in any industry, in the manufacture of clothing without practice and careful study of the basics is not enough. To learn how to sew from scratch, without any experience, have to pass courses or to contact an experienced instructor. 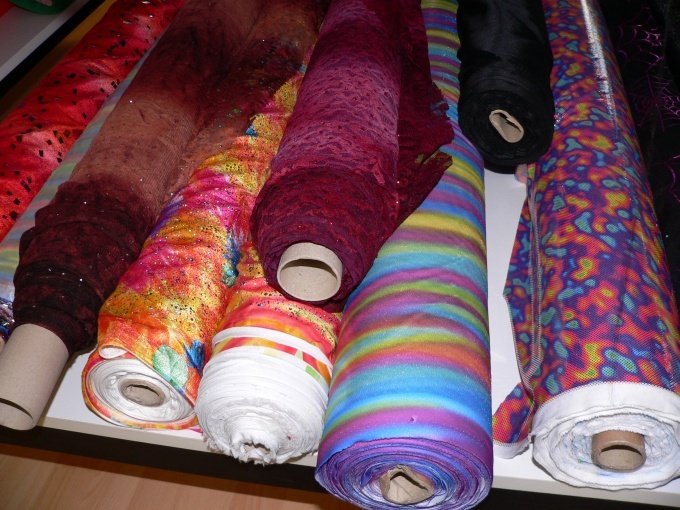 So you will quickly learn the basics of patterns, hand stitches, treatment options products, learn about the varieties of fabrics and nuances of working with them. From the theoretical course you will learn the basic concepts and definitions to easily navigate all ready diagrams and sketches to sewing. Not knowing the basics, to learn the techniques of sewing almost impossible. After you go to the practical classes. Start sewing clothes, not with ready patterns from magazines and books, be patient and first learn the techniques of building foundations and modeling products. Understand the main sequence in tailoring: building a framework, modeling, preparation of fabric, raskryvanie, machining of parts and their connection. Go to the actual study of the technology of sewing. Practice on simple models of clothes, apron, skirt, sundress, t-shirt. The quality of the finished product depends on how properly made measurements and cut the model. Remember the simple truth: "Seven times measure – cut once." Be careful when taking the measurements, this will make the correct calculations and the ideal pattern. Decompose the elements of the paper pattern on the piece of cloth and carefully draw around it with chalk or a piece of soap. Cut out each item along the outer side of the line, so prepare all the parts of the product. For convenience, the edges of the cut out parts can be processed on a serger, but the fabric has not lost its shape. Collect the finished product at the seams, baste. You can try the thing. She has already taken the desired shape and should sit on the figure, as expected. If there are defects, perform the required work on the fit. After the secondary fitting customized products are carefully prostrochite seams on the nous. Treat the beginnings and endings of seams, remove any protruding threads. Pat the product tuturov all machine lines. Go to the new product. In the nineteenth century the sewing machine became a real breakthrough, its emergence made possible the sale of ready-made gowns and at times accelerated the process of tailoring. Simple modern sewing machines can be ten times greater than those of the first, and still is able to simplify life. - A Magazine "Burda Moden"
In every house there are thousands of small things which could use a sewing machine to hem curtains, sew dispersed over the seam of things, to shorten the pants. Besides a sewing machine and minimal sewing skill it is a panacea for people with irregular sizes. If you are too high, too low, too lean, if clothes for the top and bottom you have to buy different sizes of sewing machine is for you. All sewing machines are divided into three types: Electromechanical, electronic and computerized. The first - very simple. They perform about two dozen operations on them well to learn to sew and, more importantly, they cost a penny - the most simple machine is a reliable firm Brother standing about two and a half to three thousand rubles. E - cars- for advanced users. They know more and more are, but if you are sure that you will be a lot of sewing and you have enough money, it makes sense to buy such a car. Select machine company Brother or Janome. It is a reliable and proven company. Computerized machines need to professionals, they can do almost all the sewing on them is a pleasure. But the cost of this machine may exceed several thousand dollars. Choosing and buying a sewing machine, the first thing to read the manual, it contains comprehensive information about your purchase. Find a few scraps of different fabrics, try different stitches, referring to the user manual. Change the needle, "play" with the settings. Use all available seams. Practice doing straight lines. Thanks coming more than fifty years the magazine "Burda moden", any girl can start sewing in just a few days. After all, this magazine has detailed patterns, information about how much fabric you need for the selected model, a thorough description of the priority sewing and that is very important for a beginner seamstress, in any release, there are a few basic things for sewing. They are marked with one or two black circles near the name of the model. Following the instructions from the magazine, sew a skirt. It is always better to start with a skirt - in the process of cutting and sewing you will better understand the process of sewing. Creating a few simple models and move to more complex. If the instructions in the magazine are not enough for you, look for a video master classes in the Internet. 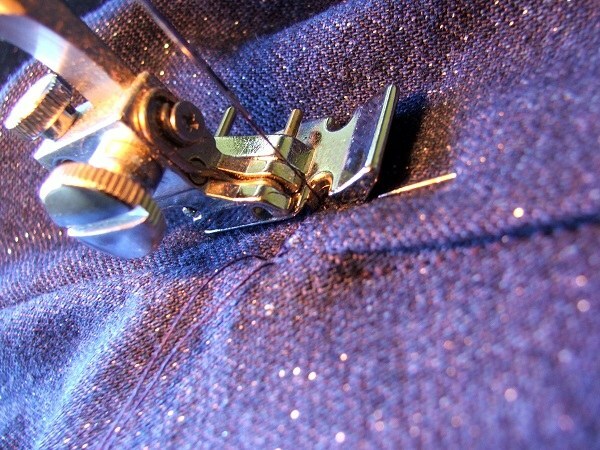 Usually you can find a detailed video on almost any sewing question. Once you've mastered sewing on the finished pattern, you will be able to create their own. This allows you to better adjust things on the figure. Buying a car, don't forget to purchase such useful items as a template, a centimeter, crayons for fabric, pins and thread. The best way to learn how to sew well undergo the cutting and sewing in special training centres. You can take the help of private masters, pass the Internet courses, buy and study the specialized literature. Without the advice of professionals the learning process is also possible, but it will take longer and you will have to learn from their mistakes. If you want to learn to sew by yourself, the first thing you need to buy quality tools. At first you can do with measuring tape, a ruler with a right angle metal sewing scissors, thread and needles of different thickness. Of course, the most important is the availability of the sewing machine. To start with a simple machine for home use, which is a function of simple straight lines and processing loops. 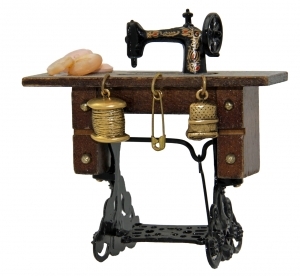 Other devices and more complex mechanisms you will discover in the process of sewing. 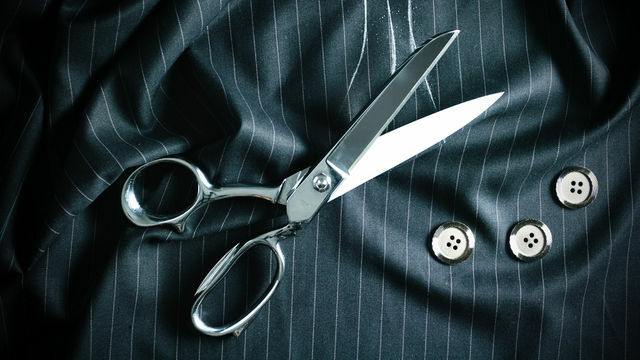 An important step in the process of creating garments is cut. Repeating, we note that the self-understanding of how to properly take measurements and to cut the product according to your figure is very difficult. But this will help the logs with a detailed description, instructional videos that you can find on the Internet. Remember that to properly take your measurements alone is not possible, therefore, at this stage better to ask for help from a friend. Because it is often incorrectly taken measurements cause too tight or loose sewing, and as a consequence spent time and money on clothes you can't wear. Obmenka should be tried on over underwear, in a free, natural posture without stress or strain. A-line straps must be strictly horizontal, and the line length is vertical. Initially, it's best to sew the product according to the example, substituting your details in the pattern. Gain experience, you will be able to simulate and assemble the items of clothing themselves. For quick cutting and sewing of shoulder products are indispensable is pattern-based. You will spend time on accurate measurements and build the perfect for your figure of the pattern only the first time. Then, experimenting with the width and length of the product, the appearance of the shoulder at the arm openings and neckline, you will be able to create an original product that no one else has, and which, moreover, fits you. The model you have chosen, it is necessary initially to cut out on tracing paper (it can be replaced newsprint), and then transferred to the fabric. Cut-out details, you need to sweep manually with thread or with pins. Further, the product should be to try and adjust according to your body. You can then process the edges of the parts and to connect them with machine stitch. If you want to learn to sew, the main thing is your desire to learn and improve, despite mistakes and failures. Remember that initially you need to understand the peculiarities of the sewing, and not strive to make a product as quickly as possible.